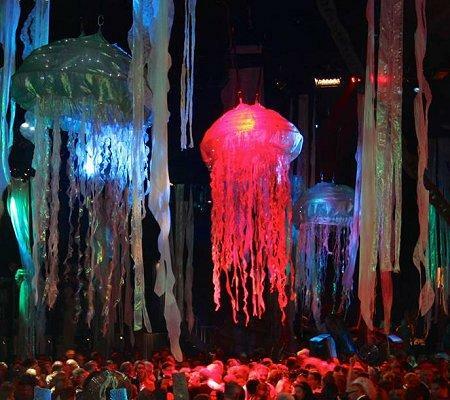 The Floating Jellyfish are three magical, colour changing sea creatures bobbing, dancing and spinning in the currents. 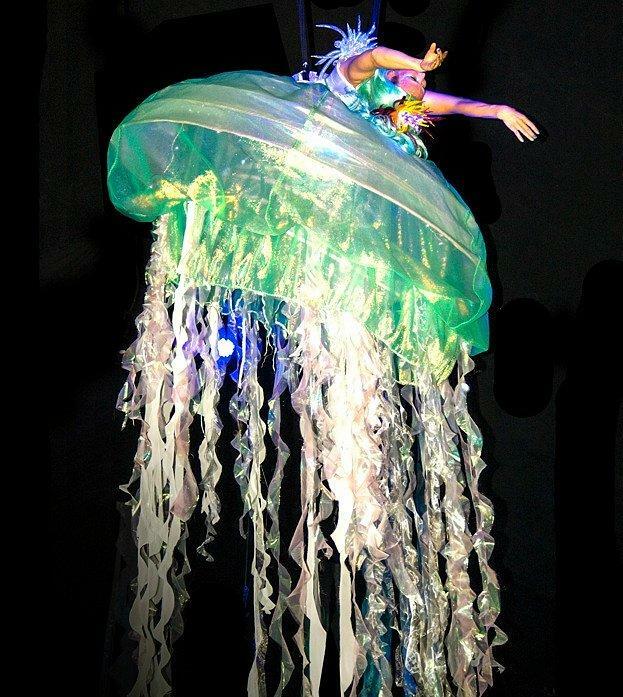 These amazing beings greet the audience and tantalise with their tendrils before they are bought back to dry land. 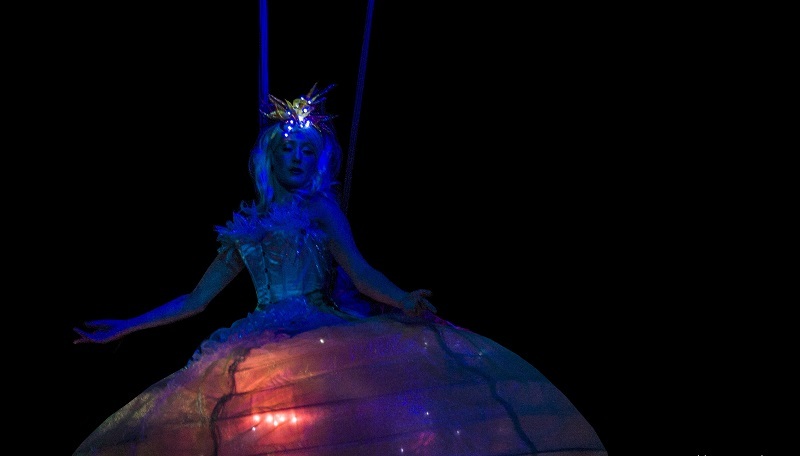 A quick clip change and the outer Jellyfish raises back up to create all-night aerial decor with event lighting, revealing a Mermaiden below who meanders away through the audience to find her heart’s desire. 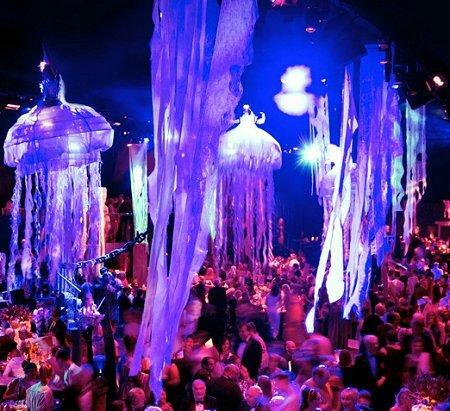 These aerialists are perfect for corporate events that need a wow factor! If would want to blow your guests away with stunning corporate entertainment these aerial performers will certainly do that! 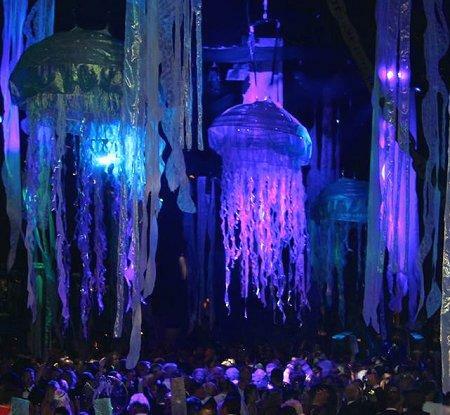 The number of Jellyfish depends on space available and can be booked as a solo, duo or trio. 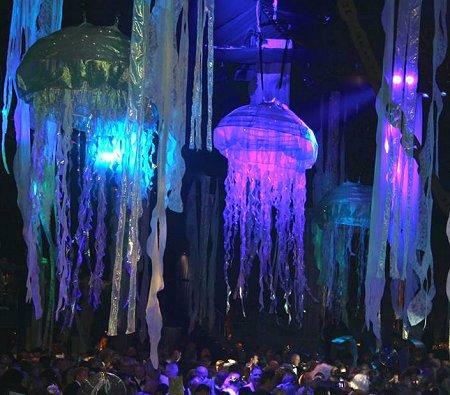 A bloom of three gives max visual impact, creating the effect of a moving current bobbing each Jellyfish in turn. A site visit will usually be necessary with the show riggers to check the venue’s suitability. 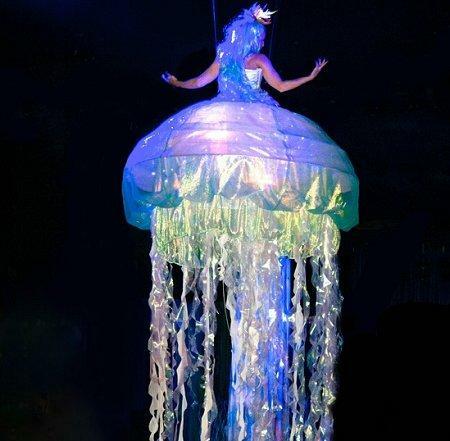 The performers require the client to provide one motor per Jellyfish, suitable for a person flying.